This is a strange album, even for Neil Young. Recorded mostly live in San Francisco, the audience noise was removed and overdubs were added. Two songs are not live..."Sail Away" was a leftover from the Comes A Time album, and "Pocahontas" had been recorded 4 years earlier. The album is half acoustic and half full Crazy Horse rock. The two studio tracks are excellent, bolstered by the vocals of Nicolette Larson. 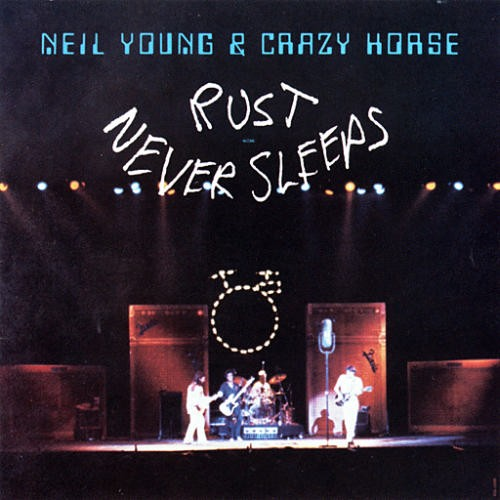 The version of "Powderfinger" is great, and Crazy Horse is in full smoldering form. Another classic from Neil, a must have. A film was released along with the album, and later in the year, Live Rust, a concert album from the tour came out. Nobody rules quite like Neil Young, and this is just another great reason why. This is album #133 in an ongoing series. You just got a 3.97% upvote from SteemPlus!